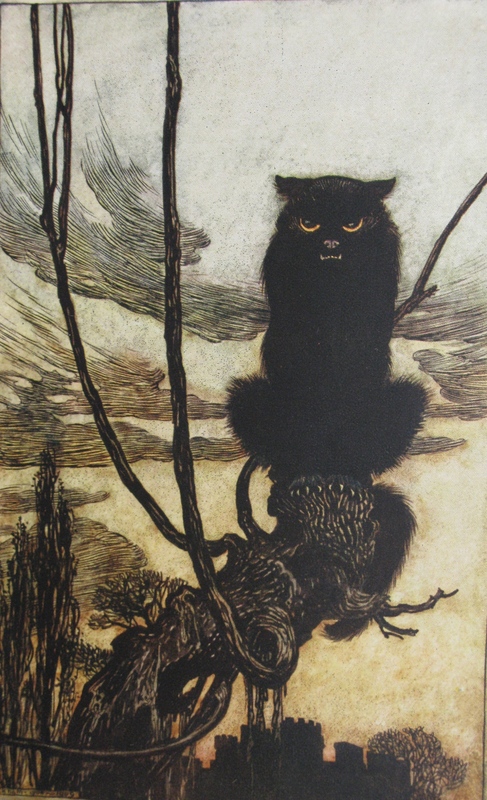 I have loved Arthur Rackham’s illustrations ever since the first time my mother read The night before Christmas to me when I was about three years old. From this point on the reading of that book (and the examining of every detail of the wonderful illustrations) became a yearly Christmas Eve ritual. Later, I discovered that the illustrations I so loved as a child were only a minute part of the complete work of Arthur Rackham. He began his career as a newspaper illustrator in a time before the improvement of photographic reproduction resulted in photographs taking the place of pen-and-ink sketches. As newspaper illustrators began to be less in demand and his own success grew, he was able to devote himself full-time to the whimsical, dream-like fantasy pictures at which he excelled. 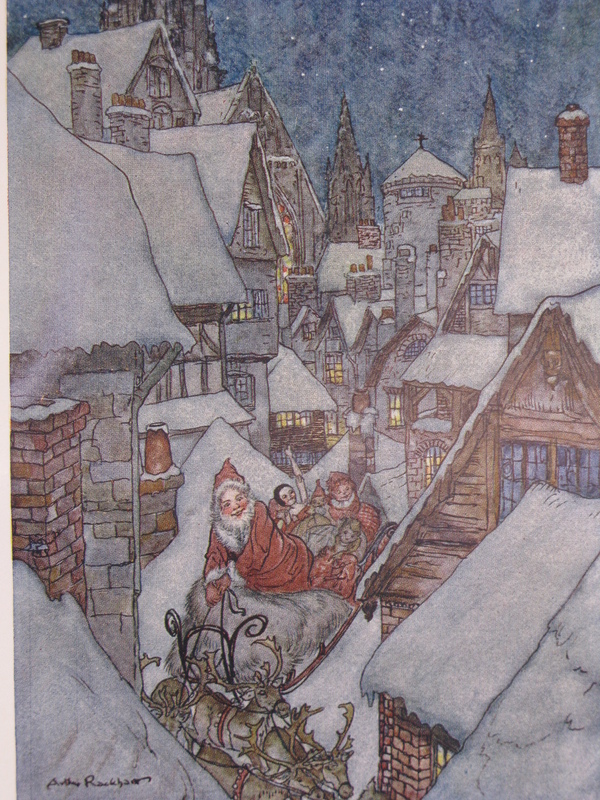 Rackham illustrated a wide variety of books from Rip van Winkle to The Wind in the Willows. 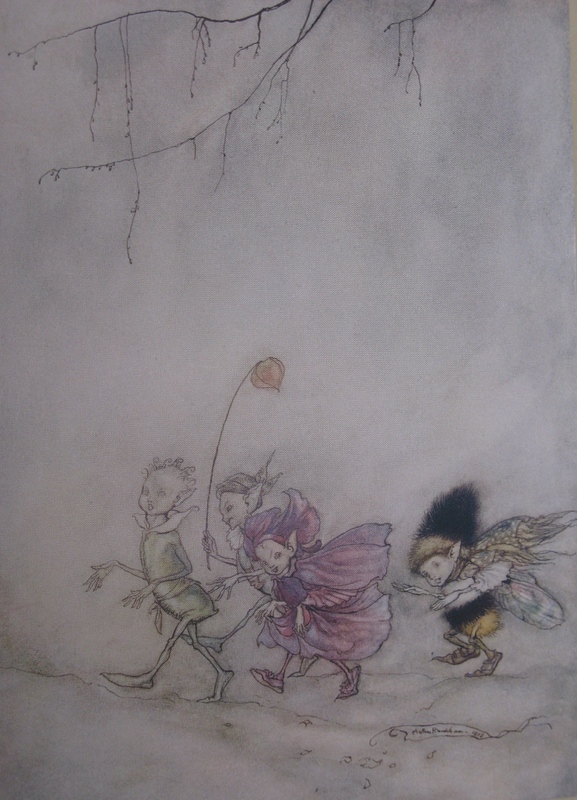 My favourite illustrations have to be the ones from Grimm’s Fairy Tales, for although his pictures are often grotesque and vaguely creepy, they show an understanding of the fairy folk that chimes with the tales told of them, in which they are often superficially beautiful but essentially other, unpredictable and often cruel. 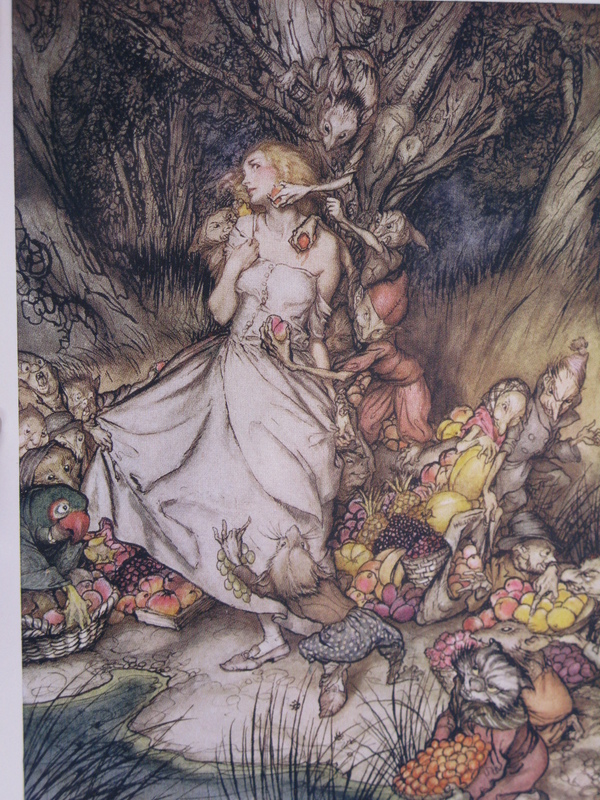 In the picture below, taken from Christina Rossetti’s Goblin Market, the goblins try and tempt a young girl to buy their wares, knowing that once a mortal has tasted fairy fruit, she is doomed to waste away and die as mortal food becomes like ashes in her mouth.